We have good news for all those aspirants who are seeking for the Newest Government Jobs in Gujarat State. Here, in this post, we are going to describe all the elaborated notification about the GSECL Vidyut Sahayak Recruitment 2018 in the below sections of the post. Therefore, all the interested and eligible contenders must read the below post and grab all the details from here. Scholars may apply online for the GSECL Vacancy 2018 from the official website of the Gujarat State Electricity Corporation Limited that is www.gsecl.in. For getting additional information you can bookmark our careerjobs360 official page because our professional team updates this page on regular basis as per the latest information. 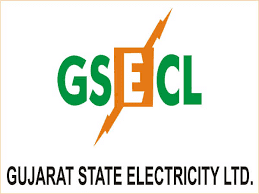 The GSECL-Gujarat State Electricity Corporation Limited has published a job bulletin for GSECL Vacancy 2018 for eligible and skilled aspirants for filling up 166 Accounts Officer, Deputy Superintendent (Accounts), Vidyut Sahayak (VS) (Plant Attendant Grade I) Electrical, VS (Plant Attendant Grade I) Mechanical, Instrument Mechanic posts in the department. Jon Finders who want to make their career bright in Gujarat State Electricity Corporation Ltd then don’t miss this opportunity. Eligible and interested aspirants can fill application form of GSECL Instrument Mechanic Recruitment 2018 from the official portal of GSECL which is www.gsecl.in. Aspirants can submit the application form fee on or before the closing date i.e. 18th June 2018 through online mode. We have provided here all elaborated information of GSECL Jobs 2018 such as academic criteria, age criteria, important dates, selection procedure, and how to apply, fee, etc. For Accounts Officer Post: Candidates must have Passed CA/ ICWA for this post. For Instrument Mechanic Post: Candidates must have Passed full time/ Regular Diploma in Instrumentation & control from any recognized University. There is no mini. percentage requirement. (BE/ BTech Degree holders being overqualified need not to apply). Also candidates must have a Knowledge of Computer operations & Gujarati language is required. More details candidates must visit the official notification. Age Limitation: Maximum age limit for general candidates is 35 years. However, SC, ST and SEBC candidates should be maximum 40 years of age. Application fees: General & SEBC category must have to pay of Rs. 500/- towards application fees. SC/ST category must have to pay of Rs. 250/- for the same. Selection methodology: Contenders will be shortlisted on the basis of their performance in the following selection levels which is going to be organized by Gujarat State Electricity Corporation Limited. Salary Scale: The finally shortlisted contenders will get an impressive amount of pay band monthly as prescribed by the company. How to Apply Online for the GSECL Instrument Mechanic Recruitment 2018? All the eligible applicants may apply online for GSECL Deputy Superintendent Recruitment 2018 on or before the deadline that is 18th June 2018 from the official website of the GSECL department which is given in the below post. Here, we have also mentioned some steps for your help. All the aspirants must follow all the given instructions very carefully and then you may apply online for GSECL Jobs 2018 Easily. Firstly, willing candidates have to go to the official portal of Gujarat State Electricity Corporation Limited that is gsecl.in. Now, go on the homepage and search out the GSECL Vidyut Sahayak Recruitment 2018 official notification link. After that, you must read all the instructions from the official notification very carefully before applying for the post. If you are eligible and then hit apply online button. Upload the scanned passport size photograph & signature on it and remit the application form fees. Now, click on the submit tab & submit the application form. At last, aspirants must take the printout copy of the application form & Keep it safe for further use.